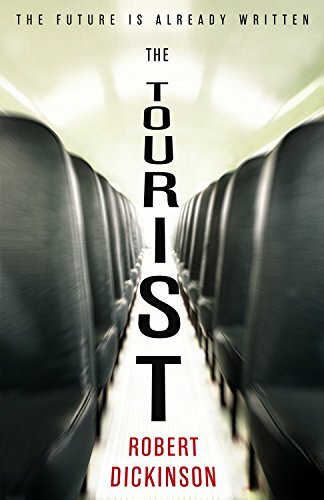 The Tourist is a science fiction novel about time travel, without much science. It is more about the perplexities that time travel would produce in a twenty-fourth century future that sends people back in time as tourists. There is also mystery and plotting that seems about trying to change history. In the late twenty-first century, there was a global extinction event, after which the world was greatly changed. The standard problem with time travel fiction is that it leads to logical contradictions. In this world, characters are constrained by the history of what is recorded in the written record, but the written history is not always very complete or even accurate. The main story is about a budget tourist company that loses one of its clients in the past. It turns out that this is part of a plan, and the people sent to sort it out get very involved. There are different agents from different cities, and they have met each other in different era. Their memories are sometimes vague and sometimes get clearer. People have different accents and everyone is anxious. To be honest, it is pretty hard to work out what is going on in this story. There are at least two narrators. We don't know the gender of the first, although that turns out to be crucial when revealed. Presumably, a careful reader who reads the book more than once will be able to work out what actually happens, but reader comments on Amazon also demonstrate that it is a confusing plot. It does not seem to matter really: one gets the general idea of a future controlled by a scheming large organization manipulating people. There are some dramatic events and interesting themes. One of them is classical music: there are references to twentieth century composers such as Bartok, Kodaly, and Webern, which makes it clear how much of a high concept novel this is meant to be. There's also some humor: for example, the reaction of people in the past to tourists from the future is occasionally amusing. So there is a lot here, even if the overall plot is a mystery and the ending is a complete puzzle. The performance by Peter Kenny of the unabridged audiobook is done very well: as far as I can tell, it does not compound the difficulties of the confusing plot, and it brings energy to a narrative that would drag more in the printed version. Christian Perring does not believe time travel to be logically possible.